Nanna Ditzel's Trinidad chair has achieved status as a modern Classic through innovation in materiality. The design is defined by two bold curved wood shells significantly reduced in density using cutting edge CNC technology of the early 1990s. Ditzel was heavily inspired by the intricate fretwork of "Gingerbread Façades" seen on the island of Trinidad and in 1993 implemented it into the design of a chair. 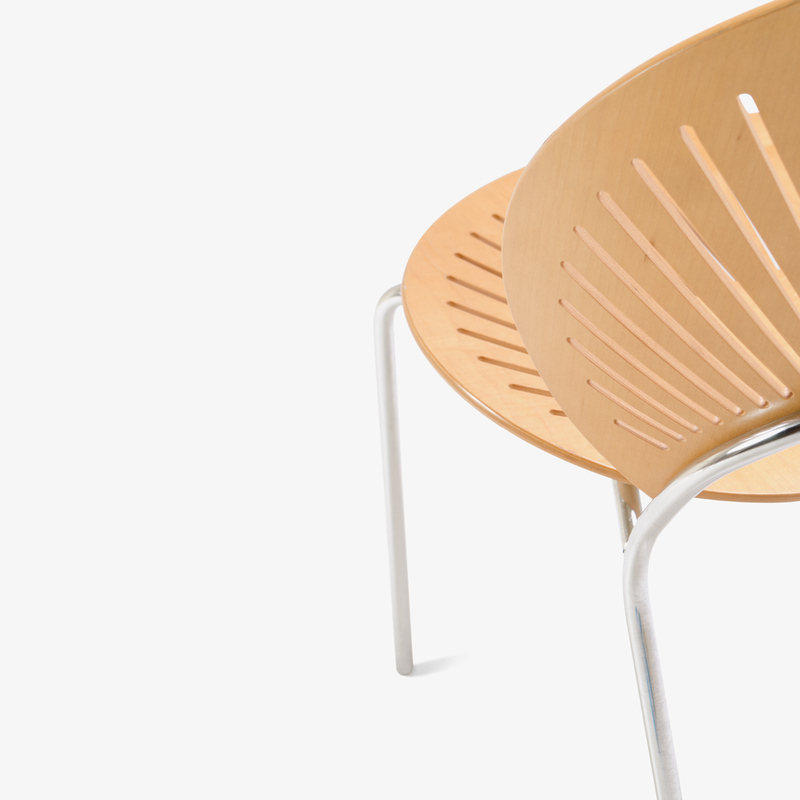 Today the chair remains wildly popular, manufactured by Fredericia in Denmark. Shown in standard Oak, with a polished chrome frame.